Welcome to a very special Exclusive Edition of Saturday Night Movie Sleepovers Presents, The Side-Cast! This week SNMS catches up with two legendary actors in their own right: the well-renowned Wilford Brimley, and film and television icon Martin Kove! 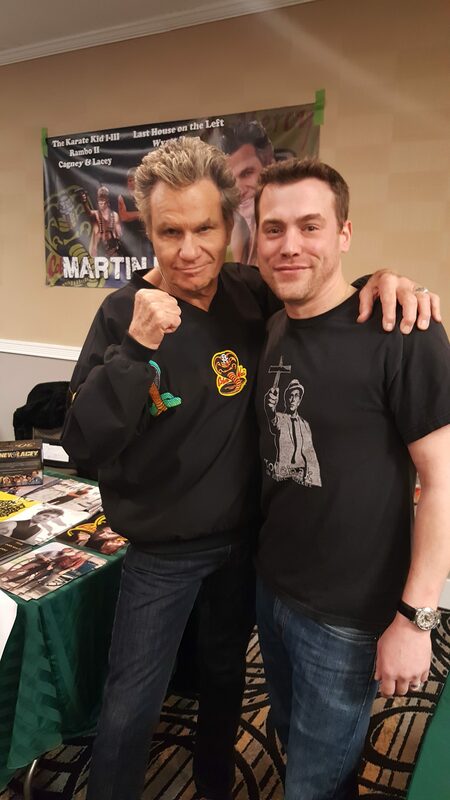 Last month Dion Baia and J. Blake attended the 2017 Monster Mania Convention in Cherry Hill, New Jersey, and Dion was able to sit down and chat with these two amazing thespians. Mr. Brimley whose credits include The Thing, Cocoon, The Firm, Hard Target and The Natural just to name a few, briefly talks about his reasoning for getting into the film business, his favorite role, as well as setting the record straight on some of the stories online about his early life. Not one to mince words, Mr. Brimley is direct and to the point. Mr. Kove, known most notably as Sensei John Kreese of the Cobra Kai Dojo, also starred in such classics on the big screen as The Last House on the Left, The White Buffalo, Rambo: First Blood Part II, Steel Justice and Wyatt Earp, talks at length about his start in the film business, some embarrassing moments (he at least thinks) in his appearances in ’70s episodic television and why he feels The Karate Kid has become the cult classic it is today. 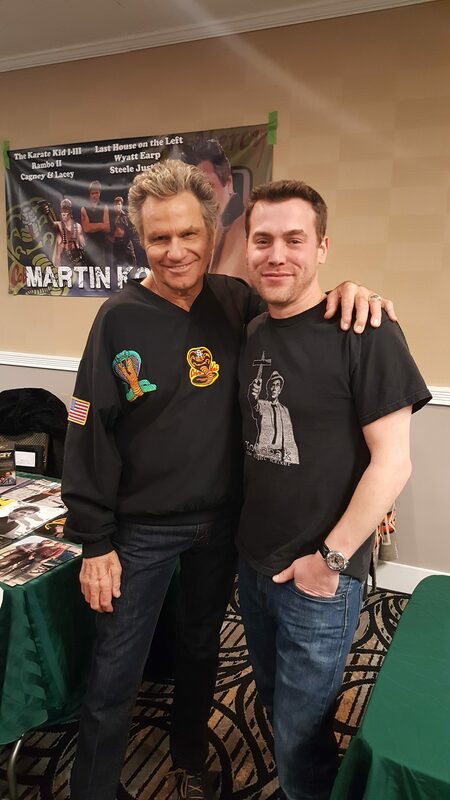 Mr. Kove also goes into why he feels the 1980’s television show Cagney and Lacey, that he costarred on, was so ground-breaking and ahead of it’s time, and touches on other character’s he portrayed throughout his profound career. Kove also laments about the one iconic actor he regrets not working with when he had the chance, and also laughs about the one legendary actor he caught up with years later, with who admitted to being a huge Cagney and Lacey fan. And he opines about the one American film genre that he has an immense passion for, and feels needs to be resurrected. So come on down and take a listen to these exclusives, on another exciting installment of Saturday Night Movie Sleepovers! 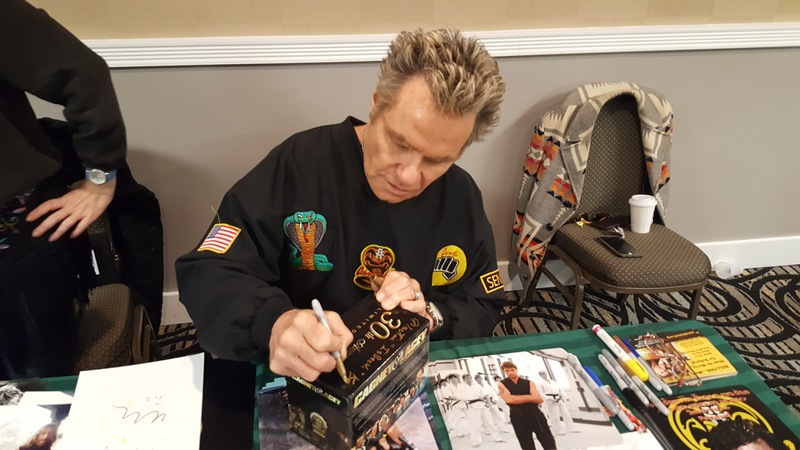 Here’s Martin Kove signing Dion‘s Cagney & Lacey boxset; and here is Mr. Kove doing his badass Cobra Kai pose; then after realizing Dion was a huge C & L fan, here is a straight pose. Click here to check out Mr. Kove’s book recommendation, Wyoming Wind: A Novel of Tom Horn by Jon Chandler. Check out the 1989 CBS show Hard Time on Planet Earth starring Martin Kove! 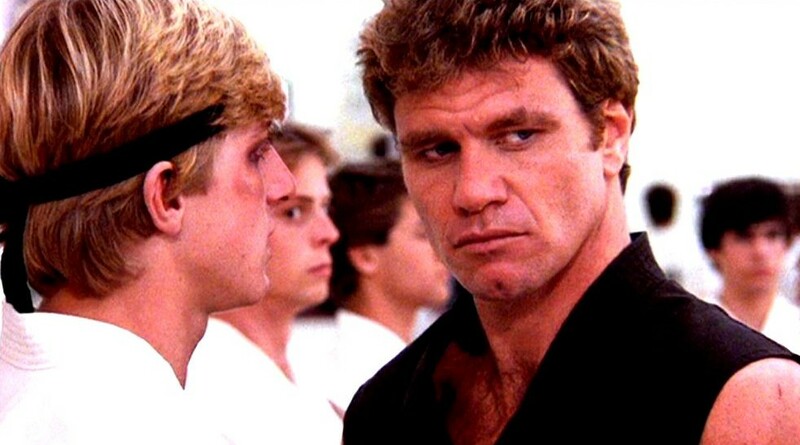 Watch Martin Kove in this 1977 Irish Springs Commercial! Have a look at this great Wilford Brimley on Craig Ferguson in 2011! 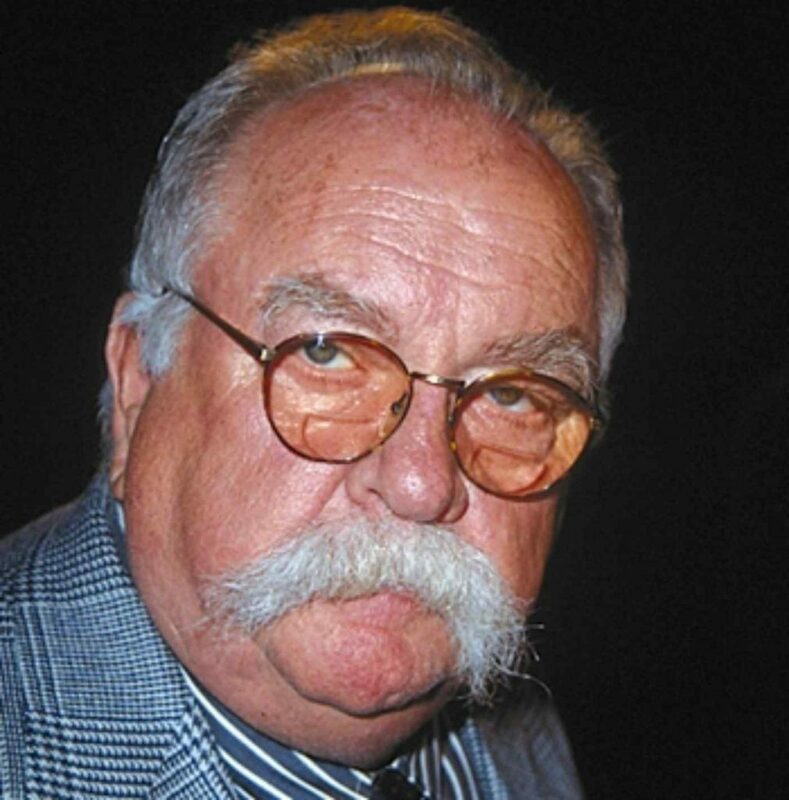 Take a look at Wilford Brimley doing a PSA to combat the Meth epidemic in his home state of Utah. Here’s a rare heard 1988 audio cassette of Wilford Brimley reading Clement Moore‘s poem, The Night Before Christmas (Just ignore the photo slideshow, which seems to be done to be funny). And, check out Wilford Brimley and the Jeff Hamilton Trio Live, performing Pick Yourself Up!